In a new interview with MTV, Robert Kirkman talks about the events of this week’s The Walking Dead issue 125. If you don’t want to be spoiled for that, go buy it before clicking through to the source article, because it spoils the ending. It should still be available at your comics shop or on comiXology. He also talks about characters that might cross over from one medium to another. Negan, the foul-mouthed, brutal leader of The Saviors, is an almost certain addition to the television show. But it looks like speculation that he might show up in season five was premature. “I wouldn’t expect Negan too terribly soon, although he is definitely in the plan. It’s a 99% lock that he’s going to be in the show eventually, so be on the lookout for that,” Kirkman said. 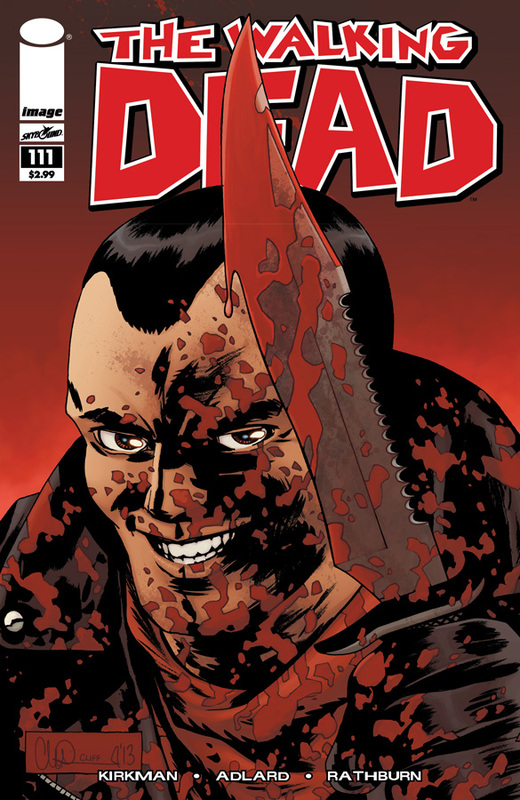 Kirkman also said he though Mad Men’s John Hamm would be a “perfect” Negan, although he joked that Hamm’s post-AMC film career would probably make him too big for television. Everyone’s favorite redneck archer Daryl Dixon is not coming to the comics, though. 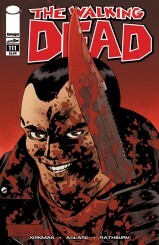 Skybound’s April Fools Day joke cover showing Daryl on an issue was just that. 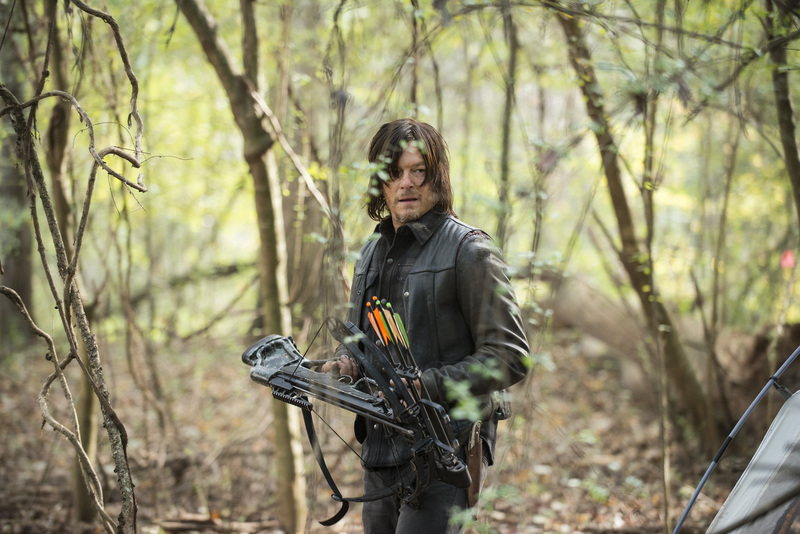 Kirkman says unequivocally that Daryl has no future in the comic book. “I like that Daryl is the element of the show that is an agent of change, that really affects every story as we try to adapt them. Losing that by putting him in the comic would do a disservice to the show, and the comics. As much as I love Norman Reedus, and everybody loves Norman Reedus, you’ll never see Daryl Dixon in the comic. There, I said it,” Kirkman said.